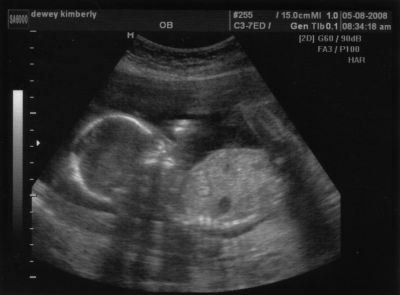 So I vote boy, although I could never tell on any of my own children’s ultrasound. But when they say, “Its definitely this, no doubt about it.” Its usually because there’s a little extra something that cannot be mistaken. But don’t wait too long to tell us, PLEASE!!! Looking at those pictures leaves me totally clueless! So, I ditto Karin — PLEASE don’t keep us waiting too long to tell us!! And I would guess boy also, because of what Karin said. Altlhough I was sure you were going to have a girl! BOY BOY BOY. 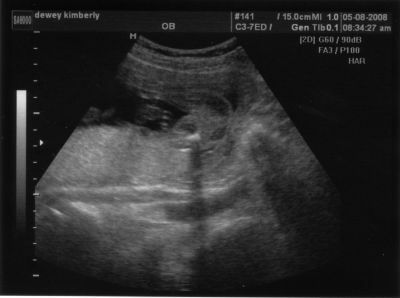 You guys are having a boy. Congratulations.